Yulin Plastic Packing Factory manufactures and distributes a variety of plastic closures, plastic caps and plastic lids, our factory was found on 1981, until now we have made more than 3000 various shapes & sizes of plastic closures and caps in total 30 categories. 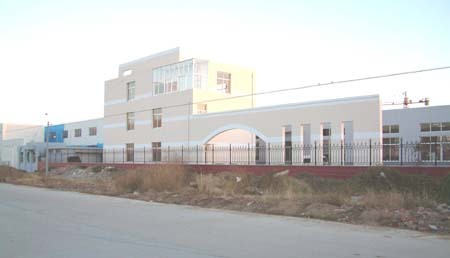 Yulin Plastic Packing Factory is hold by Sellwell Group. Over all the world, Yulin Packing sets the pace for innovative plastic closures in the personal care, household, food and beverage markets. Yulin Packing is a world leading manufacturer of plastic closures and plastic containers to the Personal Care & Household and Food & Beverage markets. With an annual turnover in excess of $200 millions, Yulin Packing exports to more than 200 countires for various closures such as flip-top caps, disc top closures, snap top closures, butterfly closures, dispensing caps. The factory is committed to using leading edge technology for the sustainable development of high quality, innovative dispensing solutions for a wide variety of custom and standard applications. We are looking forward to coopearting with your esteemed company! - Why Can't You Recycle Plastic Bottle Caps? - Welcome to Plastic Caps World!